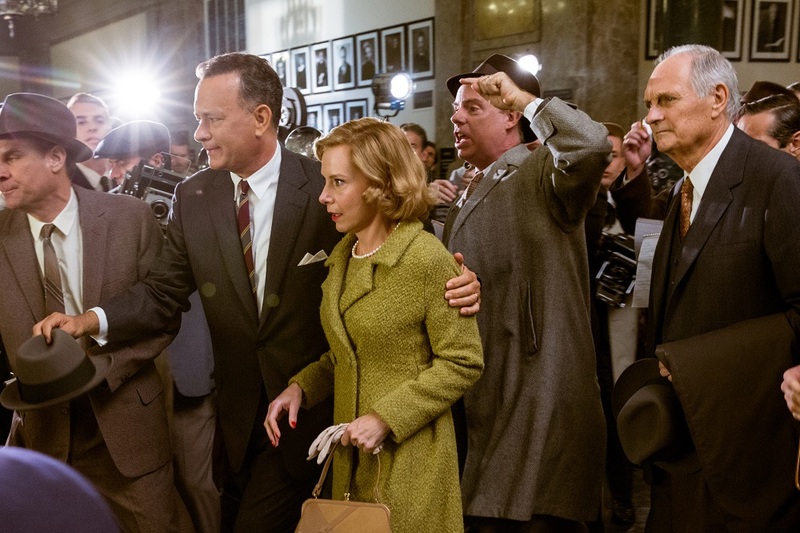 Based on what they call today the “1960 U-2 incident”, Tom Hanks (Saving Mr. Banks, Captain Phillips, Toy Story films, Forrest Gump) reunited with director Steven Spielberg (Lincoln, Jurassic Park, Shindler’s List) once again to make yet another great film. Both multiple Oscar-winning veterans have worked together in the past in Saving Private Ryan (1998), Catch Me If You Can (2002) and The Terminal (2004) and it doesn’t seem like they’d ever deliver a bad movie when they’re put together. 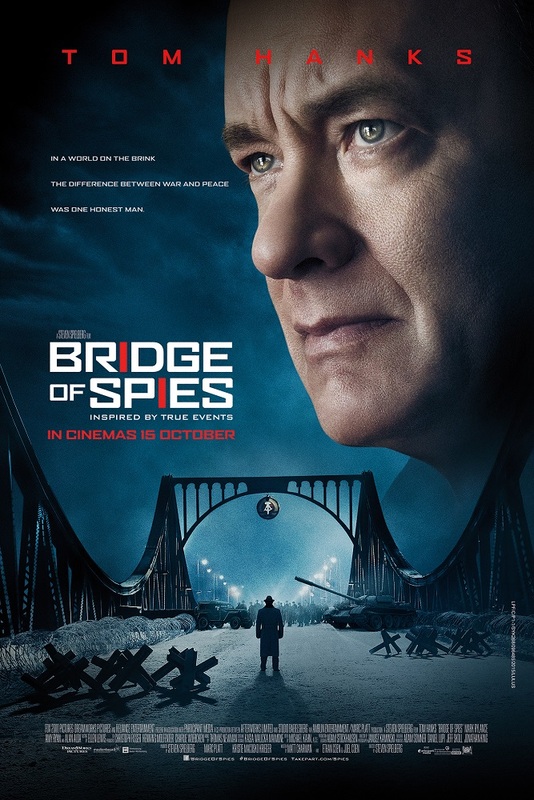 2015 has been a year with plenty of espionage flicks, but Bridge of Spies focuses more on how the courageously righteous American insurance lawyer from Brooklyn named James B. Donovan (1916 – 1970), portrayed here by Hanks, helps defend captured Soviet spy Rudolf Abel (1903 – 1971) in the court of his own nation before taking on a dangerous mission of travelling to Berlin, Germany during Cold War to negotiate for the release of a captured American U-2 spy plane pilot named Francis Gary Powers (1929 – 1977). The film’s 1960-style sets in Brooklyn and Germany are well designed, showcased in wide angle shots. The music scoring by Thomas Newman (The Second Best Exotic Marigold Hotel, WALL-E, The Shawshank Redemption) are as elegant as his compositions usually are. One might think that this would be a slow and boring film if they judged simply by reading the synopsis or watching its trailers, but the film is actually much more entertaining than even I was expecting. It doesn’t have more than a couple of dull moments. Spielberg somehow managed to make legal defence and complex negotiation in unfamiliar territory highly intense, thrilling, and dramatic as well without dwelling on the hate and threat that Donovan and his family get from the public for “defending the enemy”. Although it still does subtly make Russia look worse than the U.S., at least most of the Americans here aren’t exactly portrayed as good people either. The narrative of the film does not spend too much time on developing the characters. Instead it relies on its lead actors to emotionally engage the audience, and they performed brilliantly. Hanks’ portrayal of Donovan offers his usual immediately warmth and likableness with the determination of Tim Robbin’s character in The Shawshank Redemption (1994) and the sadness of Benedict Cumberbatch’s role in The Imitation Game (2014), all that with a subtle funny side as well. Mark Rylance (The Government Inspector, Intimacy), too, gave a great performance as Abel (whose real name is actually Vilyam “Willie” Genrikhovich Fisher), an aging spy that seems so innocent and yet fearless. 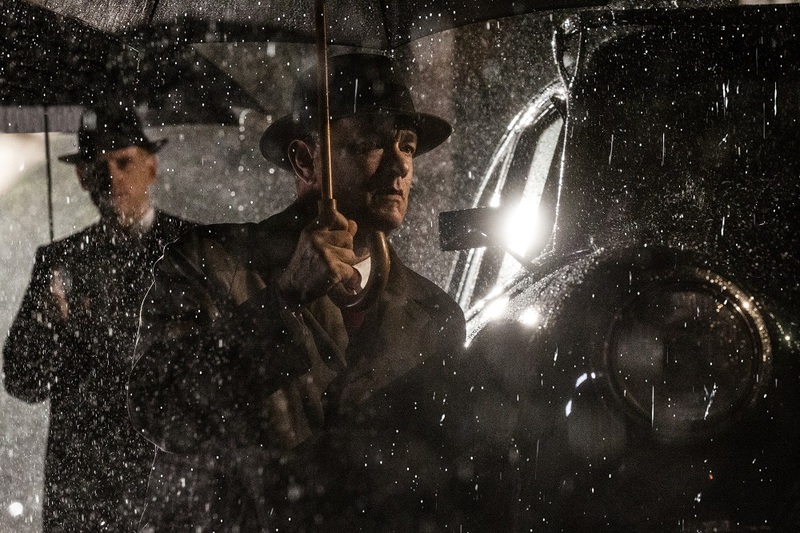 Although Rylance’s screen time isn’t half as much as Hank’s, the heartwarming relationship between this American lawyer and Soviet spy is so much more than any young adult franchise could ever hope for. With the script written by the Coen brothers (Unbroken, No Country for Old Men, Fargo) and Matt Charman (Suite Française), this historical dramatic thriller does not go without humour. There are surprisingly more than a few intelligently placed hilarious moments and are not without purpose. The film also challenges the audience to not look at enemies or the “bad guys” in a single dimension, and that in an idealistic civilised society such as the United States, any human being deserves to be treated fairly and humanely. 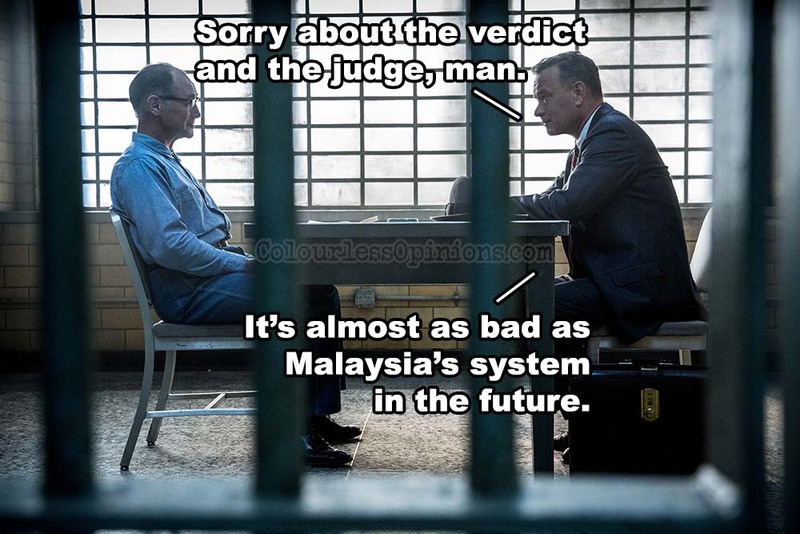 Malaysia censorship: I don’t recall any scene that requires to be censored. It’s a Steven Spielberg film anyway. 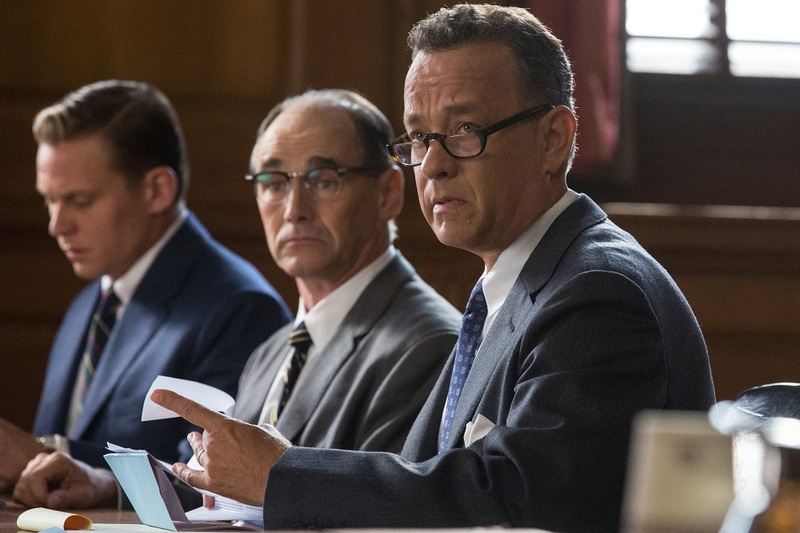 Verdict: Steven Spielberg, Tom Hanks, Coen brothers, what’s more to say?